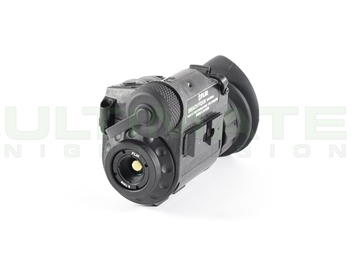 The MOD-3 is a revolutionary new night vision system. Until now you could either have a binocular, or monocular. 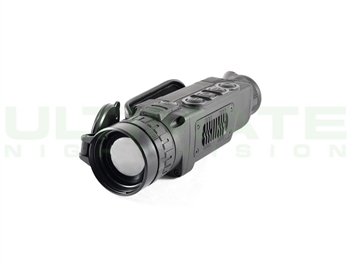 Monoculars have more versatility and can be used handheld or mounted to a weapon or head mount. But everybody loves the image from a good binocular. With them you have depth perception and you don’t have the eye strain that comes from only using one eye with a monocular. Using a bridge adapter to utilize two monoculars as a binocular has been done for years, but it has significant drawbacks. The weight of such a unit is over 800 grams, and they typically cannot be collimated. Many people enjoy using two monoculars when hunting, one on a neck lanyard for spotting, and one mounted on a rifle. However, with most cost of night vision being in the optics, even avid hunters are hesitant to purchase both a binocular system and two monoculars for their sport. 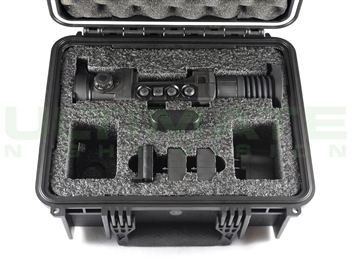 The MOD-3 overcomes these problems by utilizing Optical Pods that are waterproof, nitrogen purged units that can be installed into either a monocular or binocular. Power is conducted to the intensifier tube and indicator LEDs by means of spring loaded, gold plated contacts. Even the springs are gold plated to prevent corrosion. The Optical Pods can be assembled in the MOD-3 Binocular Bridge to form a full function binocular. A latching mechanism firmly holds the Optical Pods in place and is easily manipulated with one finger. Installing or removing the Optical Pods is accomplished in just a couple seconds. 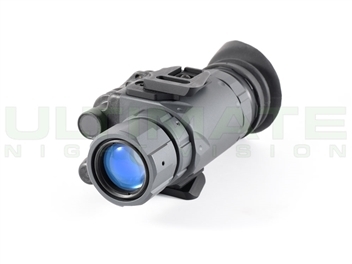 The Binocular Bridge has the features you expect to find on a night vision Binocular. It has Interpupillary distance adjustment (the distance between your eyes), dovetail mount, IR LED, IR LED “on” indicator lights in the viewing plane, and low battery warning. Optical Pods to a circuit board and eliminates the need for wires in the joint which moves as you change IP adjustment. This removes the potential for power failure due to wire breakage. The IP adjustment is accomplished through IP screws such as the AVS goggles employ. The screws have ball detent ‘bumps’ as they are rotated, preventing vibrations from accidentally changing your settings. 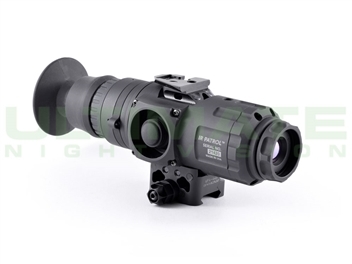 The MOD-3 Binocular can be collimated and weighs in at 618 grams. 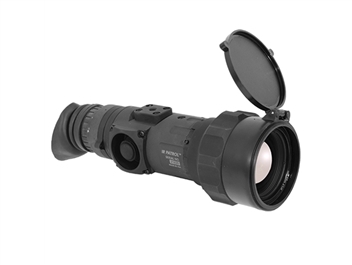 The other half of the MOD-3 system is the MOD-3 Monocular Adapter. 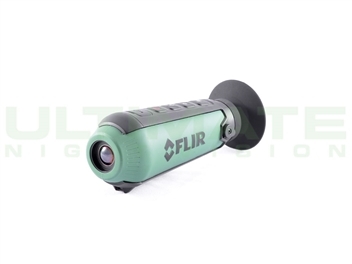 This adapts an Optical Pod into a full function monocular. It has the same circuitry as the Binocular Bridge which means you have a flood IR LED, IR “on” indicator, and low battery indicator. It uses the 3V lithium battery as well. It also accepts the same IR Spot/Flood adapters used in PVS-7 goggles. Like the Binocular Bridge, the Monocular Adapter releases the Optical pod with the press of one finger, allowing instant changeover from monocular to binocular. 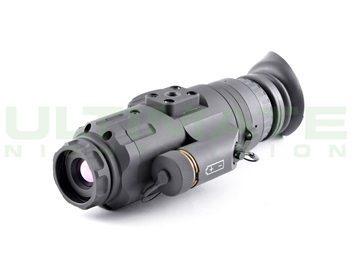 The monocular housing is waterproof and has a side mount like a PVS-14. 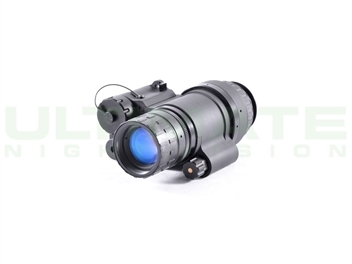 This allows the user the same versatility as any other monocular with head and weapons mounts, but is 75 grams lighter than a PVS-14. Our Price: $8,999.00 with FREE Accessories! Worked with Todd to obtain the right night vision system for Astronomy. The solution provided is excellent and checks all the boxes. The system works much better than I expected, things have come a long way. With Light Pollution taking away the night sky, this is one of the best methods to get it back. The system shows so much more than the eye can detected naturally. Its something you have to try to understand. Add a choice of 12nm or 7nm Hydrogen Alpha filters and nebula appear from nowhere. Thanks Todd for your advice and help. I'll be back for all my NV needs. I had no idea that holding a device in my hand with a 50mm finderscope would allow me to see galaxies, star clusters and emission Nebula. It's fantastic. Within the last evening I had opportunity to use the Mod-3 in a 7" Maksutov Cassegrain... M57, M82, M13, M20 and M8 were beyond what I expected. I just can't believe it. I will try again with a larger scope. I spoke to Rich Ishihara a number of times as I had questions on what filters and adapters are required. He was great to deal with and now that I have solid result, he provided good advice.